INGREDIENTS: Aqua, Phenoxyethanol, Polysorbate 20, Sodium Benzoate, Parfum, Potassium Sorbate, Citric Acid, Disodium EDTA, Benzalkonium Chloride, Disodium Cocoamphodiacetate, Sodium Chloride. For external use only. KEEP OUT OF THE REACH OF CHILDREN. Avoid direct contact with eyes. If product enters eyes, rinse immediately with clean water. 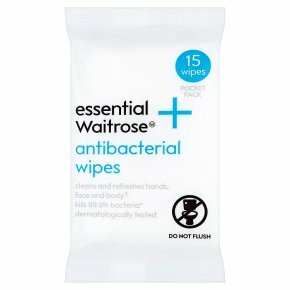 Dispose of wipe with normal household waste. Do not flush down toilet.